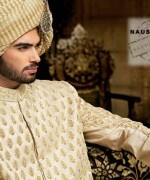 We have this question from you that are you looking for Naushemian by Nauman Arfeen sherwani collection 2015 for men? 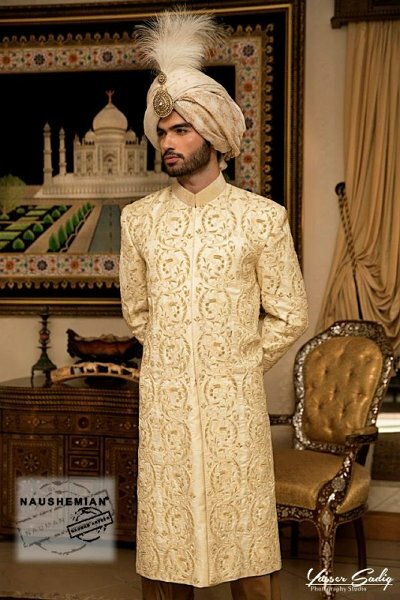 If yes, then make sure that you do not have to search any more because this sherwani collection 2015 by this label is right here right now! 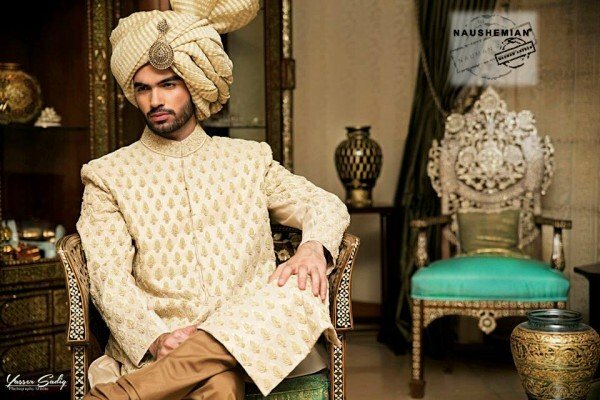 It is this latest Naushemian by Nauman Arfeen collection line that has been launched by this label and here at this post, you will also be getting this chance to have a look in detail the pictures of this collection line. 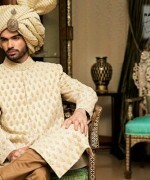 It is these sherwanis that have been embellished and they are decorated with this dabka work and with this tilla work, it is these sherwanis that are present in these royal kinds of shades and patterns. 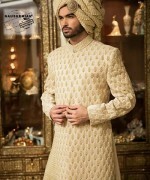 Some best kinds of royal and King like shades have been put up by this label and these sherwanis are present in golden, silver, in these shimmery kinds of shades. 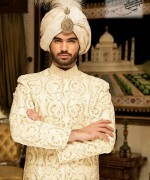 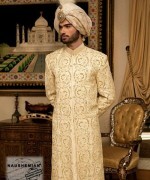 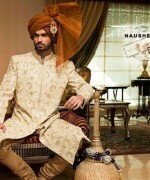 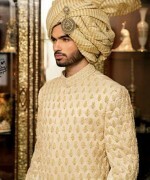 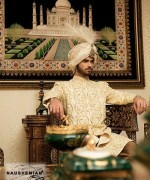 This collection by this Naushemian by Nauman Arfeen label has been perfectly designed for all the grooms out there. 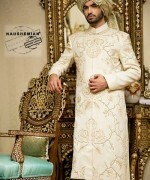 If you want to get hold of these stylish and royal looking sherwanis then make sure that you do also make a hit at the face book fan page of Naushemian by Nauman Arfeen hub. 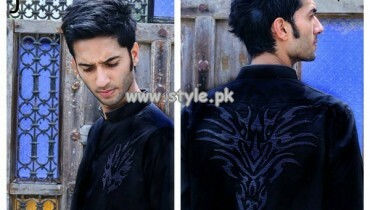 It is with the help of this face book fan page that you will be getting these timely updates and news that when this label will be launching its new and latest collection! 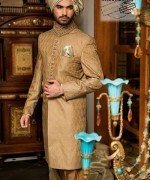 Just check out the pictures of this Naushemian by Nauman Arfeen sherwani collection 2015 for men and let us know your feedback too that how much you liked these sherwanis! 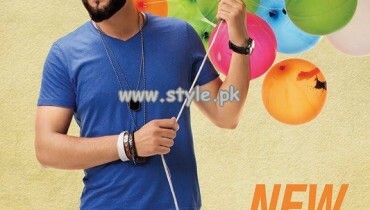 Do wear them and do share with us your rating too that how much you liked wearing them up!